We would like to take this opportunity to introduce ourselves to your business. We are a local, licensed plumbing company with well over 20 years experience in San Diego, Riverside and Orange Counties. 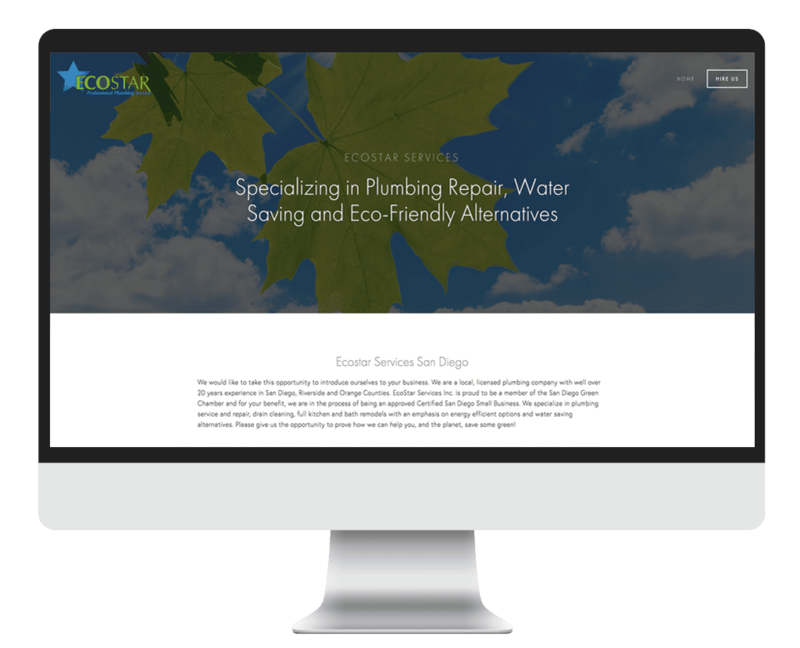 EcoStar Services Inc. is proud to be a member of the San Diego Green Chamber and for your benefit, we are in the process of being an approved Certified San Diego Small Business. We specialize in plumbing service and repair, drain cleaning, full kitchen and bath remodels with an emphasis on energy efficient options and water saving alternatives. Please give us the opportunity to prove how we can help you, and the planet, save some green!